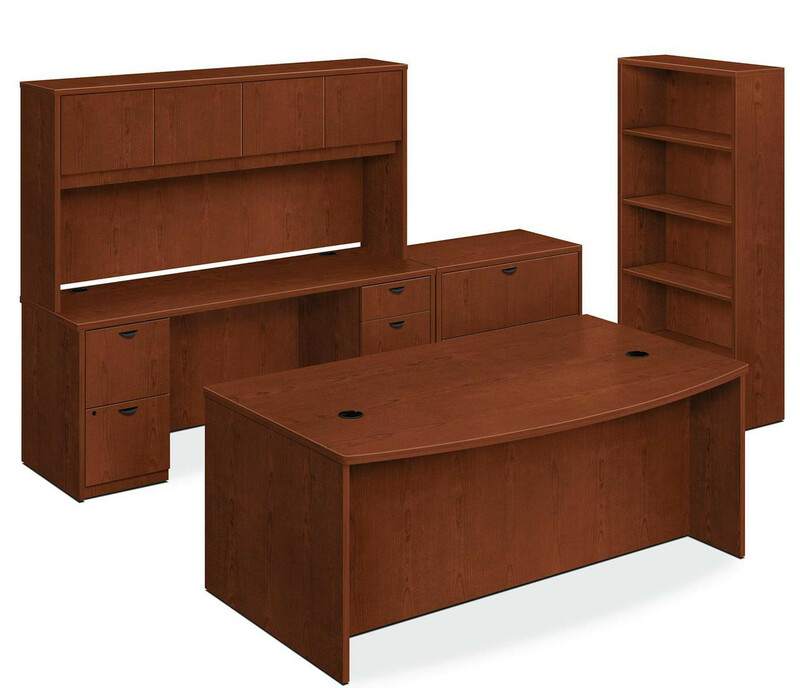 Bow Front Desk Shell is part of the basyx BL Laminate Furniture Collection that delivers a professional look on a budget. Tough, affordable and practical, this collection simply makes sense, helping you get the job done without a lot of bother. Modular components support popular, U-shaped and L-shaped layouts. 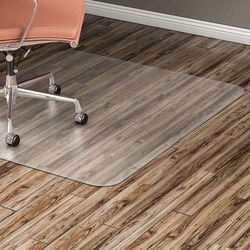 Durable, 1" thick top is covered with abrasion-resistant, stain-resistant, thermal-fused, Medium Cherry laminate. 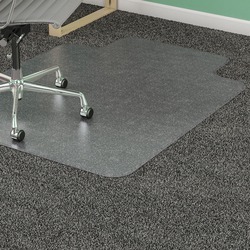 Modesty panel is full-height for maximum privacy, and recessed design provides overhang for visitor meetings and conferencing. 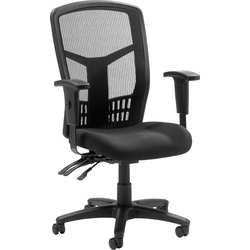 Desk shell also features two black grommets in the top for easy cord management. Adjustable floor-leveling glides provide 1/2" of adjustment. 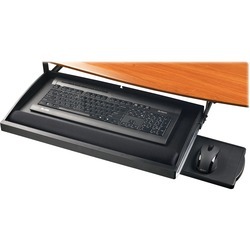 27-3/4" high pedestals with unfinished tops slide inside this desk shell and are sold separately. The remainder of this arrangement includes 72" Credenza, 72" Hutch with Doors, 7 Drawers for complete organization. Ask for Lew our furniture specialist. 2379 points will be rewarded to you when you buy this item.